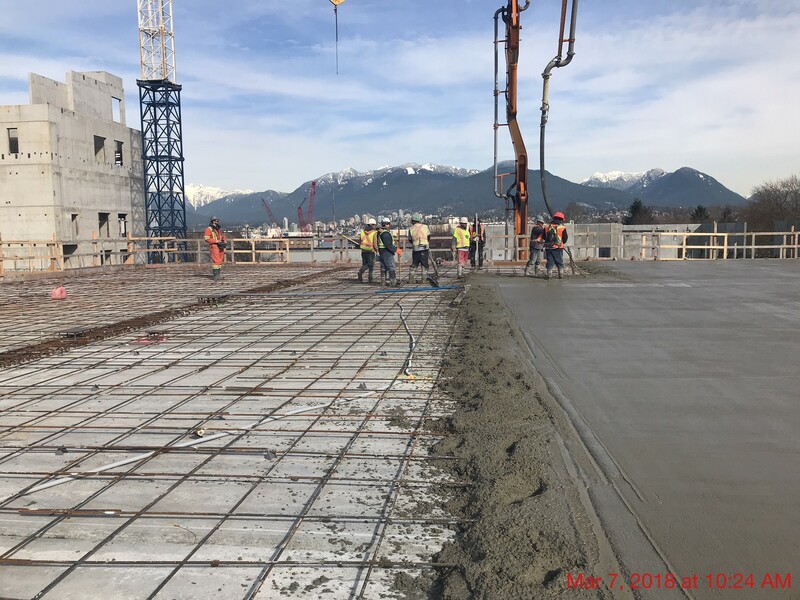 With the demand for Vancouver commercial real estate outstripping supply, IRONWORKS owner-investors are excited about the prospect of putting down business roots in what is becoming a model for mixed-use property developments in the Lower Mainland. We recently spoke to Chris Newton of Cushman & Wakefield – a key member of the IRONWORKS Sales Team – to get his insights about the development, what attracts buyers to IRONWORKS, and what types of businesses are purchasing space. Q – Tell me about yourself, Chris. What is your role at Cushman & Wakefield? 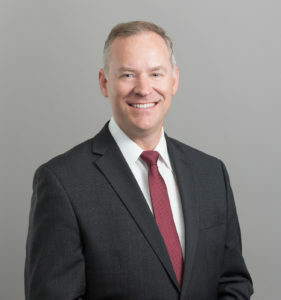 Chris Newton (CN) – I am Vice President of Commercial Sales & Leasing at Cushman & Wakefield, specializing in the Vancouver commercial real estate market. My expertise particularly focuses on the evolving and high growth downtown periphery market – the office, light industrial and creative business properties in and around Mount Pleasant, Great Northern Way, Terminal Spine, Strathcona and Grandview Woodland. Q – Tell us a little bit about Cushman & Wakefield. CN: C&W is one of the largest commercial real estate services firms in the world, and our office in Vancouver is among the top firms in the city. We pride ourselves on being knowledgeable about the current market in each of our respective specialties, a dedication to client service at the highest level, and a culture of high performance that drives us to be leaders in our industry. Q – Do you have experience working on commercial property developments like IRONWORKS? CN: I have worked on numerous projects with some similar characteristics, including mixed-use, office and flex or light industrial spaces in some of the most eclectic and emerging areas of Vancouver. From smaller 10,000 square foot warehouse buildings being redeveloped as fully air-conditioned office and creative-spaces with roof top patios, to full scale new commercial real estate developments, but none quite as unique as IRONWORKS. Q – What excited your team about working on the IRONWORKS development? CN: For some time, we have known about the Vancouver real estate market’s desire for more options like flex-use spaces, creative and digital technology spaces, and non-traditional office spaces that also offer a community experience. Business owners are looking for proximity to other new and emerging businesses and like-minded entrepreneurial firms, near services and amenities, close to downtown, main transport routes and transit. IRONWORKS was, to us, the perfect project to attract these users and help build a community connection desired by business owners. We cannot wait to see these folks open in 2019! Q – What makes the building desirable to business owners? CN: The ability to own real estate in Metro Vancouver has been a very rewarding investment for many years, and even more so in the City of Vancouver. However, we are often faced with a lack of supply and opportunity for small businesses to position themselves in the market. Strata projects like this are perfect bite-sized ownership opportunities that so many small but successful businesses desire. The property, with its views of the North Shore mountains and the surrounding Grandview Woodland neighbourhood, in conjunction with a generous building amenity offering, delivers tremendous value, making it not only an excellent commercial real estate investment, but also a fantastic blending of exciting businesses, with a new synergy to the area we have not seen to date. Q – What types of businesses have purchased space at IRONWORKS to date? CN: We will have an eclectic group of businesses making their home at IRONWORKS, including tech-related companies, commissary/food service, architects, jewellery design and manufacturing, and high-end custom furniture design and manufacturing. We really wanted to curate a synergistic, interesting and creative mix of owners and businesses that would serve as a catalyst for the area and help establish this new mode of urban creative production and service. I think we have succeeded in doing that! Q – What are your clients saying about the property development? What feedback have you received? CN: Our clients are very excited to get their businesses into the building! As additional sales are completed, we share the good news with our purchasers about the new groups that will be joining the IRONWORKS family. This has resulted in increased anticipation and excitement about opening their business in this new entrepreneurial community. Now, with construction well underway, and the structure of their individual units beginning to take shape, we are getting a lot of great feedback. 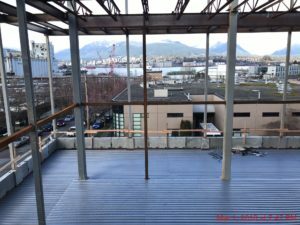 Q – Is IRONWORKS a typical Vancouver commercial real estate development? CN: I believe this type of development will definitely become more typical for this area, however, at its inception and launch there were no other commercial property developments of its kind in East Vancouver, or frankly, anywhere else. The unique, stacked design and mix of spaces is a very special opportunity that may not be seen again at this scale, given the lack of available land in Vancouver, but yes, this is a model we are beginning to see in the market more often. Q – What piece of advice would you give business owners looking to purchase office, industrial and/or warehouse space in Vancouver? CN: The best piece of advice I can give is to be discerning. Look at the property development company and find out whether they have a successful track record with this type of commercial construction. Mixed-use projects may become more popular, but the right mix of location, uses, layout, and functional design are incredibly important elements to their success. Only a handful of Vancouver commercial property developers have the requisite expertise to balance all of these factors. IRONWORKS is a model for the development of this type of space, and buyers and business owners can use this project as their baseline for understanding value in this type of investment. Why Lease Commercial Property in Vancouver When You Can Own Your Future? Control over their future is one of the main reasons IRONWORKS owners choose to buy Vancouver commercial real estate instead of leasing. Working in flexible, modern spaces in a thriving community is another great reason! Book a viewing and find out what makes our East Vancouver office, warehouse and industrial spaces so attractive to growing businesses.